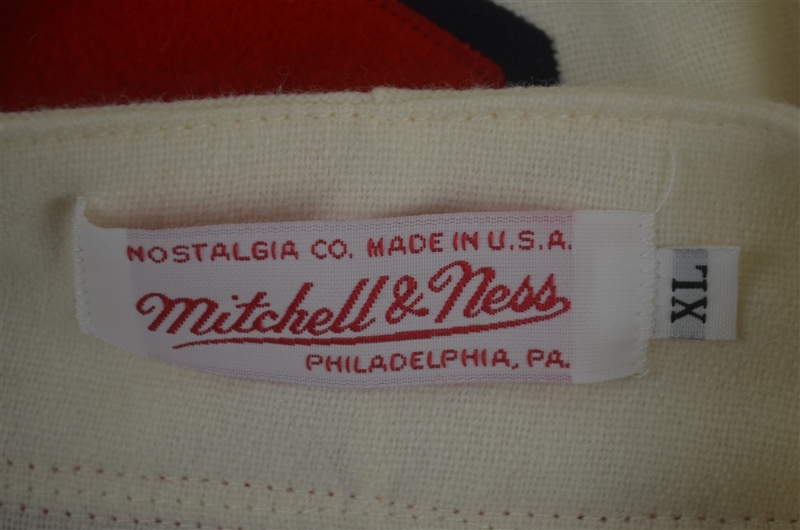 Fantastic home flannel from Mitchell & Ness celebrates the career of the late great Stan Musial. 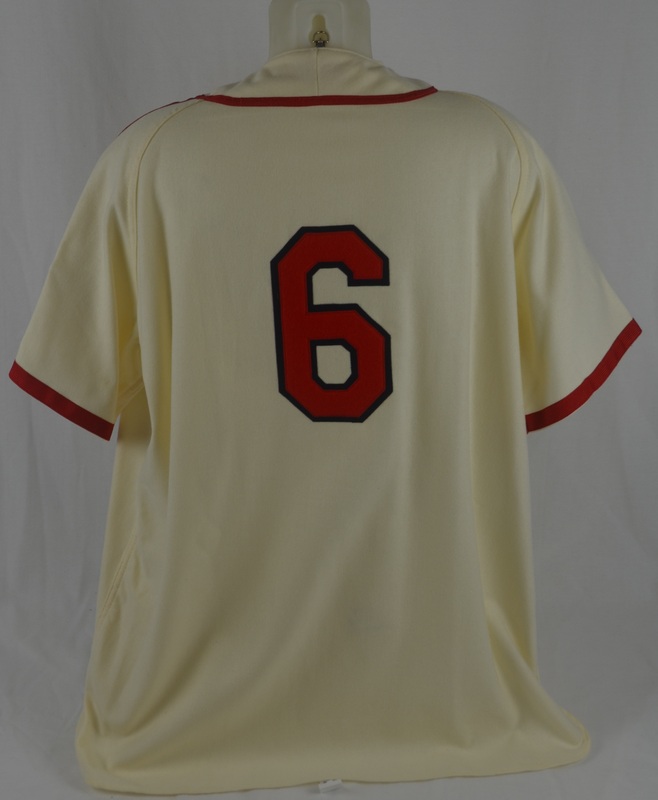 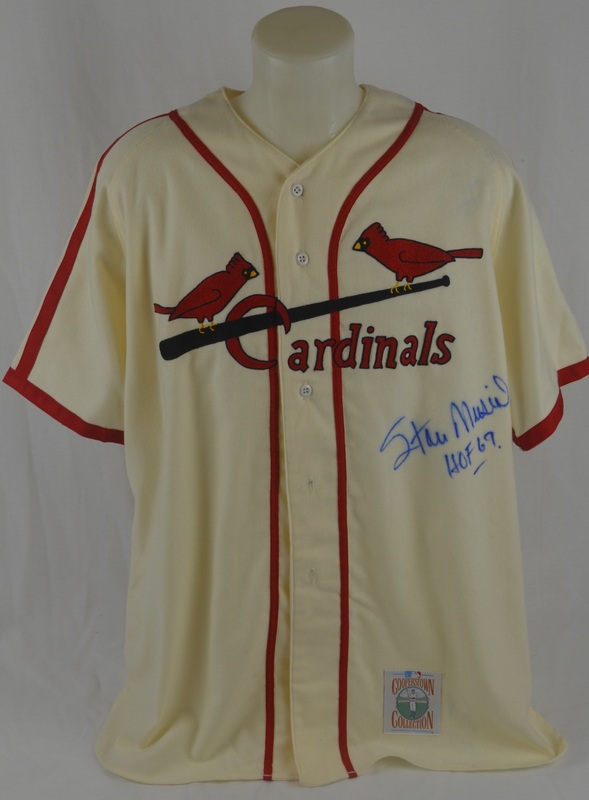 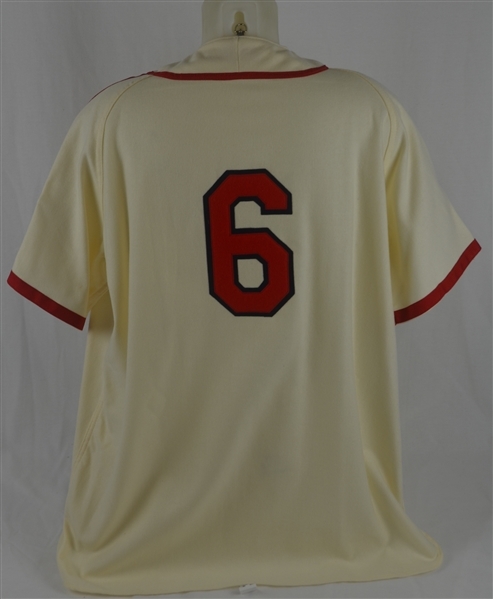 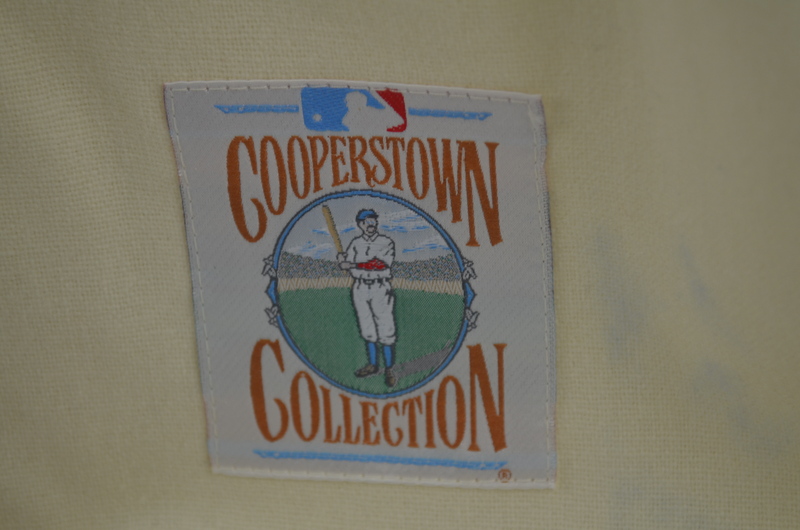 The classic #6 Cardinals jersey has been signed and inscribed on the front fabric by Musial in blue marker "Stan Musial HOF 1969". 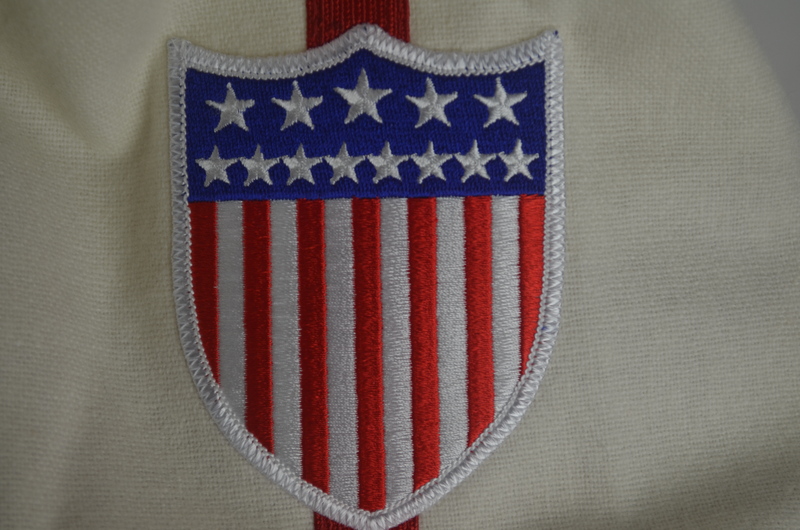 Visually appealing jersey.